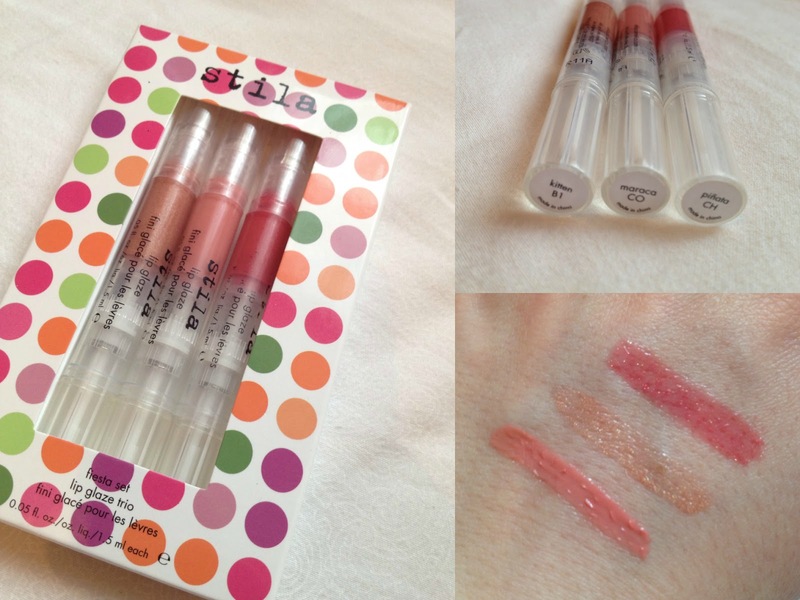 I recently went to the Boots at Westfield London and had a browse through the Stila section! I always look at all the products lovingly and lust after... pretty much everything but never usually buy anything because I can't justify spending so much! As much as I'd like to think I'm a lady of leisure... I am actually a student after all! But last time I went these caught my eye and the little rational budget keeping voice in my head said go for it! So I bought this set of three lip glazes for £12 (0.05 fl ounces) when one is £15 for 0.08 fl ounces! Now I'm no maths wizz but that's a bargain! First up Pinata! My official favourite shade of the three! 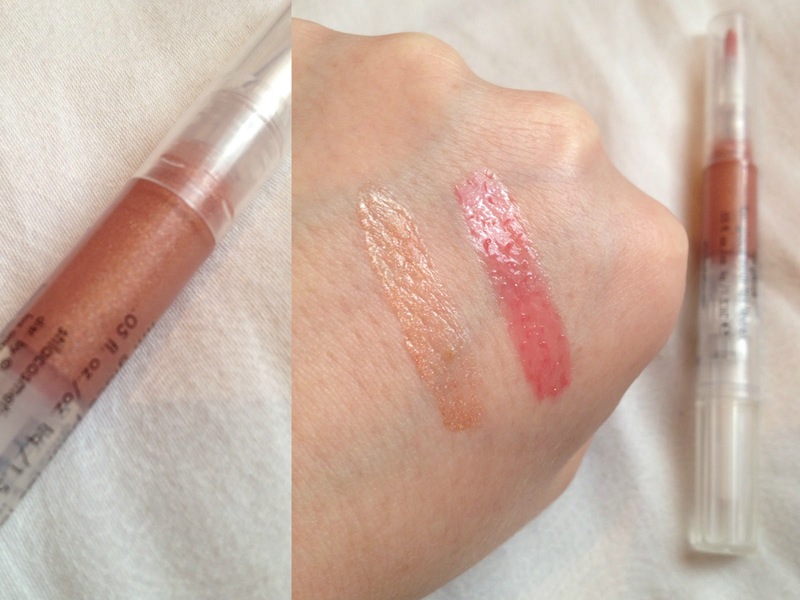 It's such a nice colour, its quite close to the natural colour of my lips but of course better and more shimmery! Next is the shade Kitten. It's a really nice goldy pink colour which is the most shimmery out of the three. Finally Maraca is a lovely peachy pink which has little to no shimmer in it. It's lovely with some pink blush and liquid eyeliner for a natural look! Stila Say: 'New and beautiful shades of Stila's ever-popular Lip Glaze in our iconic click pen. 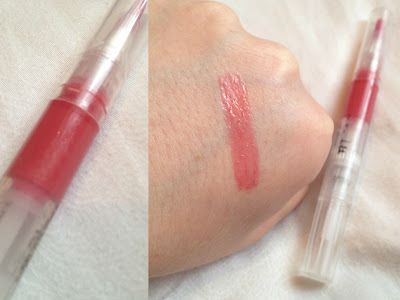 With just one click you get a glossy pout with a hint of refreshing and delectable color. Scent: They all have a really nice sweet scent which is quite strong when you apply it but wears off quite quickly. I was trying to think what it reminded me of for ages and I've finally realised! Did anyone have one of those little dolls that you feed cherries on a spoon? It smells a bit like the cherries! Lasting power: For lipglosses the lasting power is quite good. They last a good few hours before they fade. 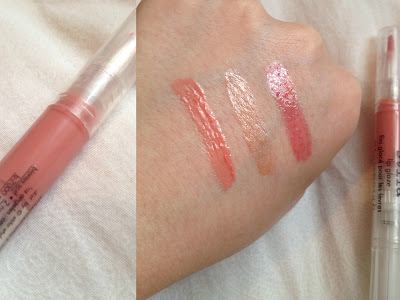 Shades: I think the shades all compliment each other really well and I haven't yet tried but I'm sure that you could layer the gold one on top of both of the other shades for a bolder look! Good: They smell great, they look great, they are good value for a high end product and they do keep my lips soft, like Stila say. 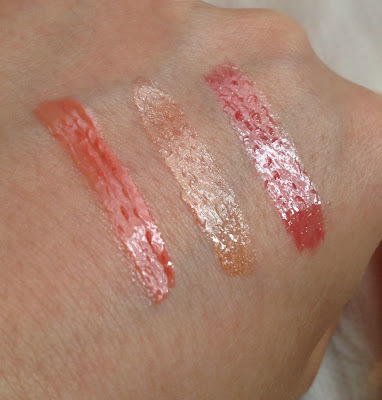 Bad: On application they are a nice consistency but when they begin to fade after a few hours they start to get more sticky, especially the two that are shimmery. Have you tried any Stila lip glazes? Great review! 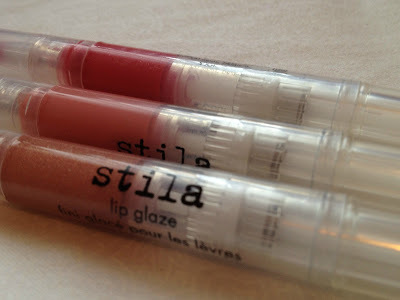 I haven't tried any Stila lip glazes, but I like the color maraca! Love your blog and follow you now! It would be great if you follow me too! Kitten looks so amazing! Good find!